Small Business Specialists serve as the primary liaison between private-sector small businesses seeking to do business with government agencies. Specialists advise small businesses regarding current acquisitions contracts available from the federal government. Prime Contractors and Subcontractors with Subcontracting Plans This FY 2010 directory includes POC information for all DoD large business prime contractors and subcontractors with Subcontracting Plans. This report is generated from information contained in the Summary Subcontract Report submitted by the contractors in the Electronic Subcontracting Reporting System. 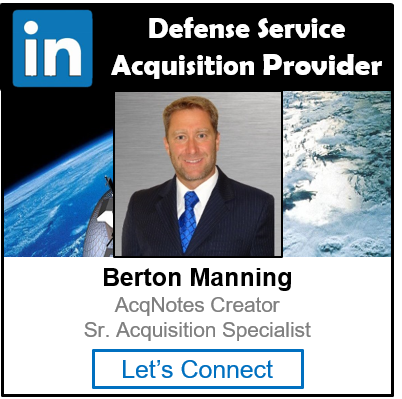 The information includes the name and address of the company; the major products/services provided to DoD; the major NAICS of the company; and the name and phone number of the company’s official who administers the company’s Subcontracting Plan. Many companies have websites with additional information which may be useful in your search for subcontracting opportunities or teaming arrangements. The DAU has established a community of practice for small business that helps them gain a better understanding of doing business with the DoD. It provides information on training, regulations and policy, subcontracting, programs, eSRS, and much more.